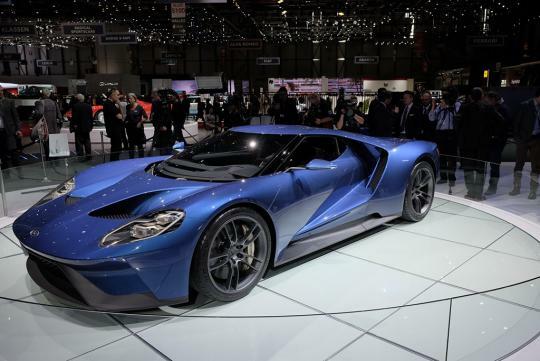 Ford will be taking a leaf out of Ferrari's book by screening its potential customers and removing punters who want to make a quick buck out of its upcoming GT supercar. With a mere 250 units produced per year, the car will be highly sought after even though it comes with a very big price tag. Ford is asking for US$400,000 per unit to be precise. According to a reddit user, the car will be available for order come early 2016 but even if you have lots of cash, you will not be able to guarantee yourself a GT. Potential customers will first be made to apply for that year's allocation before Ford screens you to see whether you have been a owner of the previous GT. Priority will be given to those who had one and they will then go through a personalisation program where they will select the dealership where they want their new supercar delivered. So will this preventive method work? Well, it didn't really work for Ferrari nor some other premium brands who has already using this method for their limited edition models. We guess the idiom "when there's a will there's a way", applies here!